If Chefchaouen is Morocco’s Blue City then Marrakesh is the Red City and its beating heart and soul. Arabian culture and North African mysticism, there are many wonderful places to visit in Marrakesh. 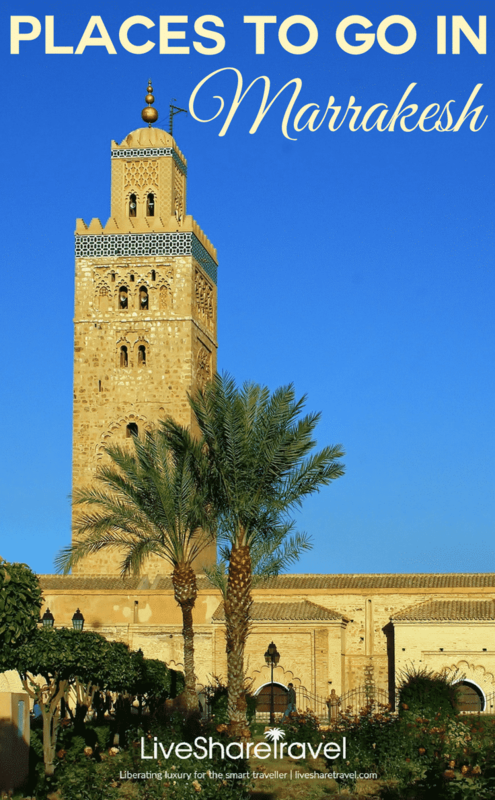 A city often mistaken for the capital of Morocco (it’s not, Rabat is) Marrakesh is one of the most exciting destinations in the world, and it’s less than a four-hour flight from the UK. As soon as you arrive, your senses are filled with the sights, sounds and sweet smells of this unmistakeable city which refuses to be forgotten in a hurry. As the Atlas Mountains loom over the spice and souk filled Djemaa el-Fna, expect to enjoy a thriving art scene while you sit back, relax and sip on a sweet mint tea in a café. 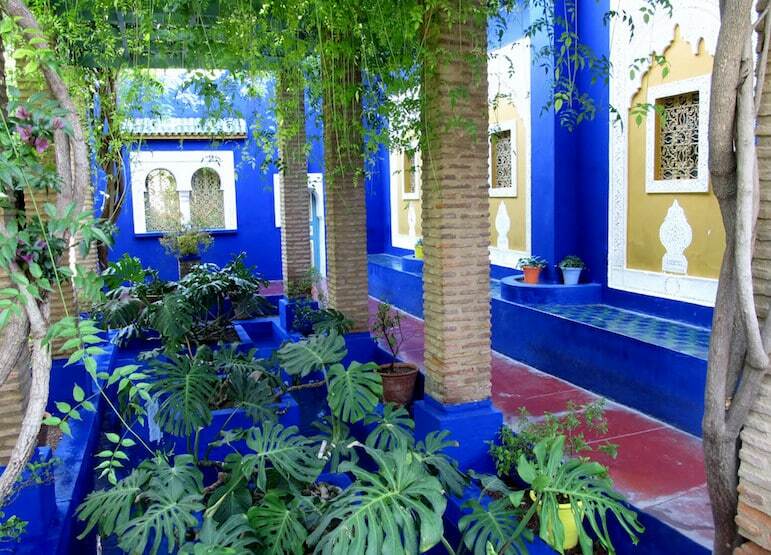 Although many of the traditional riad guesthouses are located in the hustle and bustle of the medina (such as the Riad el Fenn), if it all gets a little too much there are plenty of luxury hotels and resorts a ten-minute walk or so outside of the centre. If you are a fan of all-inclusive packages, you’ll also find plenty of choice out here – the Kenzi Menara Palace being just one good option. The crazy and chaotic centre of Marrakesh, the Djemaa el-Fna is not for the faint of heart. By day, expect chilled out vibes as street vendors serve up fresh orange juice and hustle to entice you to buy their wares. 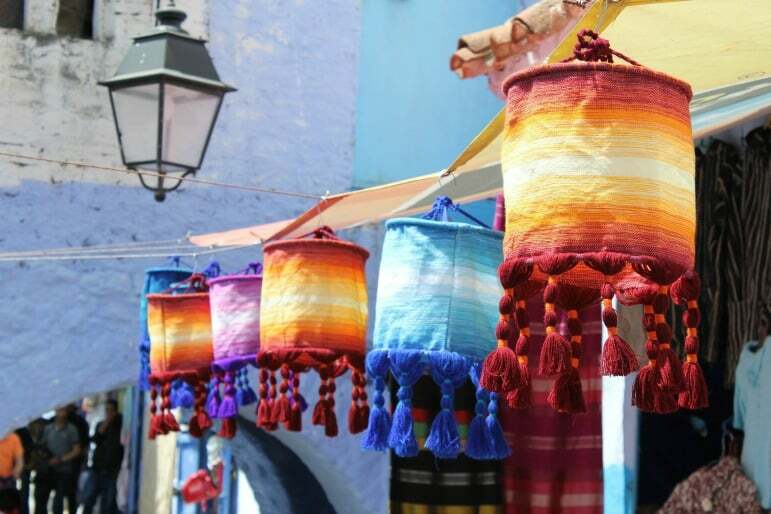 Stroll through the winding lanes, stopping to practice your haggling technique and perhaps take home some gorgeous Berber rugs, pretty slippers or stunning jewellery. It’s worth hiring a reliable guide (ask at your hotel) to help you navigate the souks, as they can be a little overwhelming. Take a load off and sip mint tea and eat a pain au chocolat at the ever-popular Pâtisserie Des Prince before resting – as the sun sets, the medina takes on a whole new level of excitement. Storytellers perform, and the square comes alive with street vendors and artists. It’s a sight not to be missed. The towering minaret looms over the medina and five times a day you will hear the familiar dulcet tones of the call to prayer. 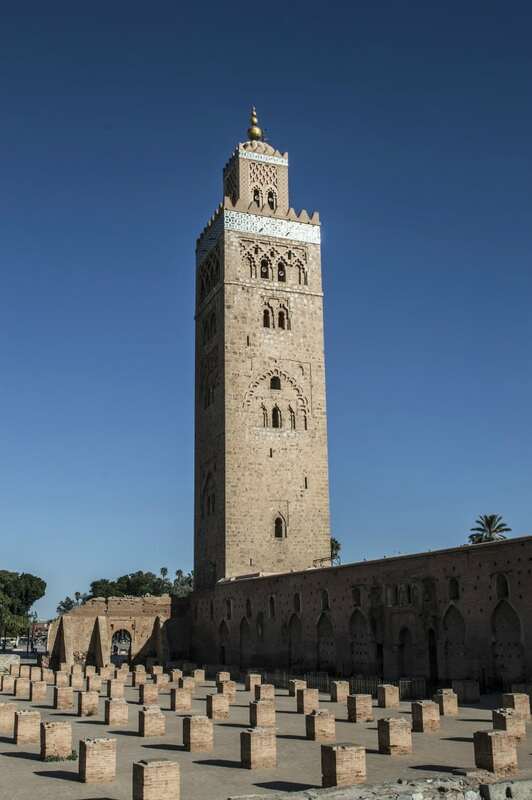 Morocco’s most famous landmark, the mosque has been standing tall since the 12th century and is one of the places to visit in Marrakesh, that really is a must-see. 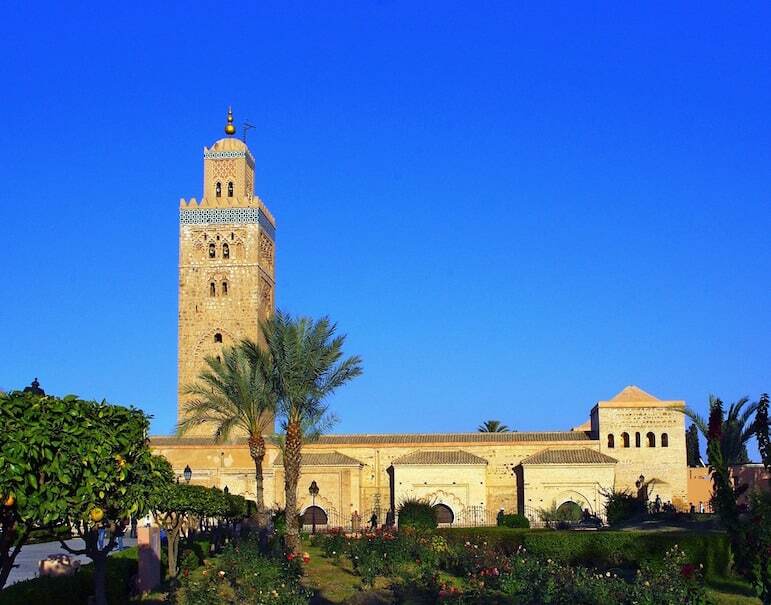 Interestingly, the mosque is said to have inspired both La Giralda cathedral bell tower in Seville, and Le Tour Hassan in Rabat. Non-Muslims can’t enter the mosque, but everyone’s welcome to photograph the beautiful building from the outside. A food lover’s paradise, Marrakesh runs the gamut from fine dining to casual street food with aplomb. 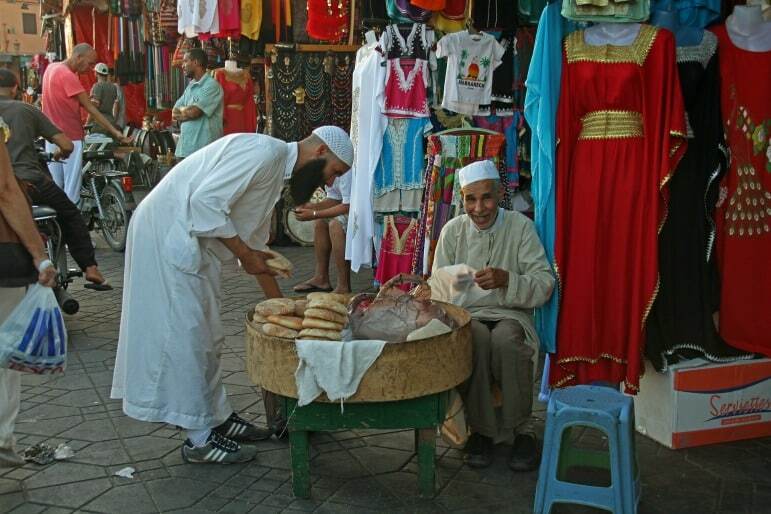 Typically, Moroccan’s don’t eat out so you’ll need to follow your nose, as opposed to the locals. Merguez: delicious spicy lamb sausages. 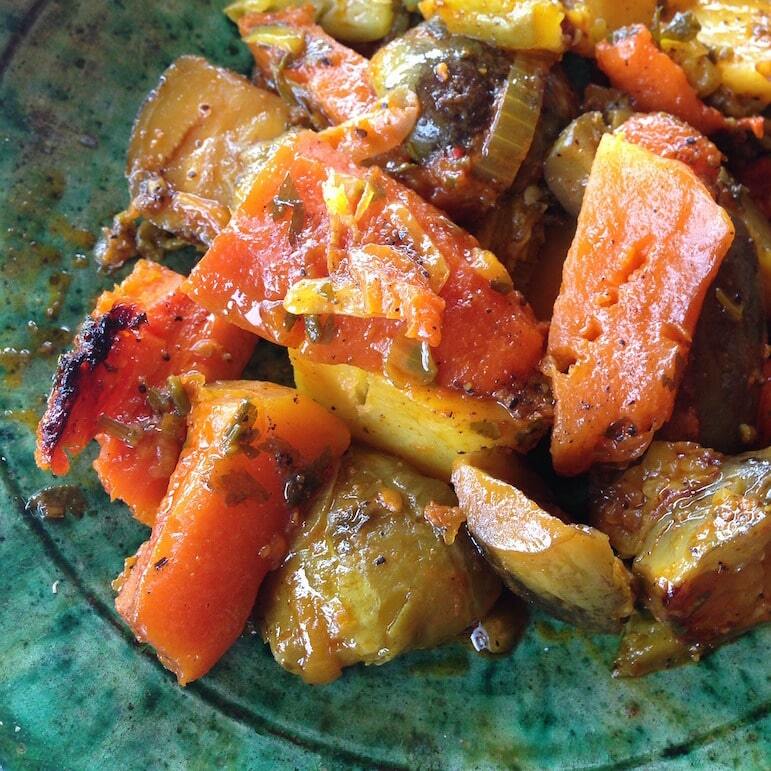 Tajines: Berber stew made in an earthenware pot. Pastilla – delicious flaky pastry stuffed with cinnamon spiced meat. The beautiful Atlas Mountains provide a restful respite from the hustle and bustle of the city. Spread across three countries – Algeria, Morocco and Turkey – they are located just outside Marrakesh. Although you can hire a car, most hotels will be able to arrange a tour for you. Typically these will include a trip to a traditional Berber village as well as a local Marrakshi meal too. After a day spent sifting the souks for Moroccan goodies in dusty lanes, you’ll be sorely in need of a relaxing scrub down and steam before you’re ready to hit the sights again. 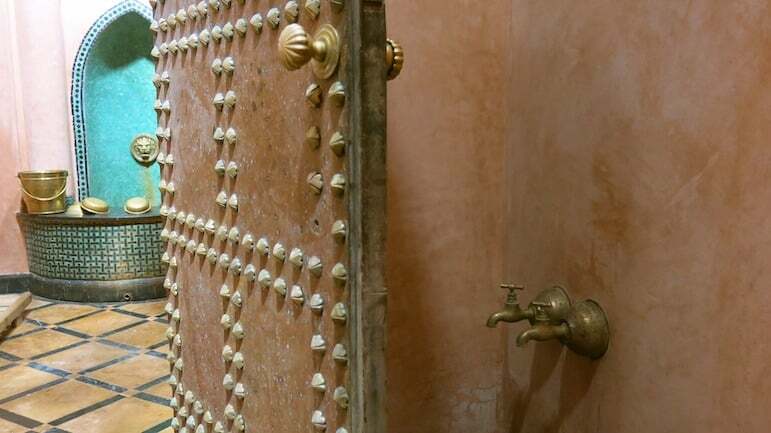 Although there are plenty of public baths, it’s worth heading to a private hammam – especially if you are travelling as a couple (men and women are not permitted in public hammams at the same time). Typically, you can expect to start your experience with a steam bath, then being treated to an invigorating scrub ending with a relaxing massage. The hammams are always one of my favourite places to visit in Marrakesh. Legendary fashion designer Yves Saint Laurent’s former garden is a 12-acre masterpiece of botanical beauty. Located on the eponymous Rue Yves Saint Laurent, the garden is a triumph and impossible to leave without exhausting the battery on your camera. 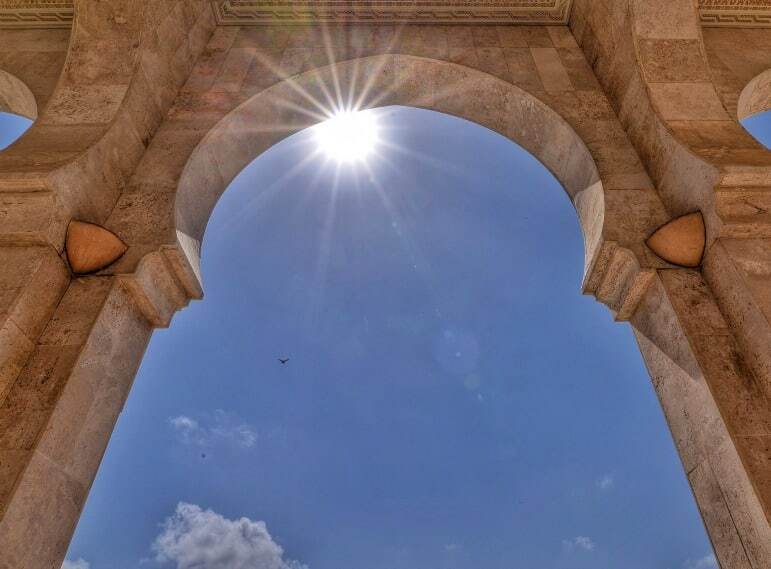 The Sultan al-Mansour’s Mausoleum, the Saadian Tombs is one of the most spectacular displays of architecture and many find it to be the jewel in Marrakesh’s glitzy crown. From The Chamber of 12 Pillars to the Garden Tomb and, of course, Al-Mansour’s final resting place – there is much to see here and you may well be left awe-inspired before the day is done. Some images here are used under Creative Commons 2.0 licence by Tracy Hunter and Frank Douwes.